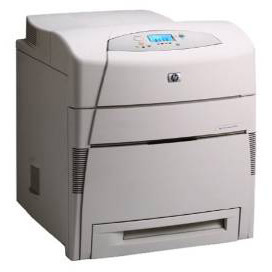 The HP Color LaserJet 5500dtn printer provides any large office with fast-paced, high-quality print work. You’ll get a 21 pages-per-minute print speed, automatic duplex printing for convenient and cost-saving double-sided pages, and total media capacity of 1,100 sheets. There’s no question that this printer will serve your office well, but when it comes to buying toner, you may not be able to afford original equipment manufacturer (OEM) cartridges. While OEM HP toner is known for its print quality, it can also cost over a thousand dollars to replace all the cartridges in your printer. That’s a lot for any business, but you don’t have to resort to cheap, disreputable toner thanks to 1ink.com. 1ink.com’s remanufactured HP 645A toner cartridges are guaranteed to work perfectly in your printer. You’ll get the same product specs, the same print quality, and the same easy installation that an OEM product would provide, all for a much lower price! Check out our selection of toner for HP Color LaserJet 5500dtn printers below and get the affordable quality you need.